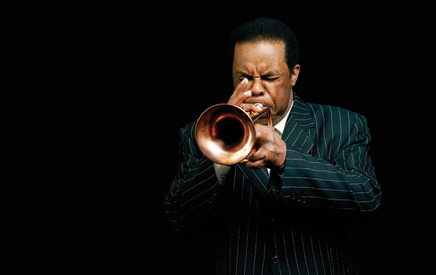 Athe peak of his powers, no trumpeter on the planet played longer, higher, and faster than FREDDIE HUBBARD, and no one exuded as much confidence and swagger on the bandstand as he did on a nightly basis. The list of sessions that he played on during a golden period of jazz from 1960 to 1965 contains several classic recordings: Art Blakey & The Jazz Messenger’s Free for All, Ornette Coleman’s Free Jazz, Eric Dolphy’s Out To Lunch, Oliver Nelson’s Blues in the Abstract Truth, John Coltrane’s Ascension, Herbie Hancock’s Maiden Voyage and Empyrean Isles, Wayne Shorter’s Speak No Evil, Max Roach’s Drums Unlimited. Add to this prodigious output Hubbard’s playing on a string of important Blue Note recordings by the likes of Hank Mobley, Lou Donaldson, Jackie McLean, Dexter Gordon, Tina Brooks, Duke Pearson, Sam Rivers, Bobby Hutcherson and Andrew Hill, along with his own impressive dates as a leader for Blue Note and Atlantic in the ’60s and CTI in the ’70s, and it’s easy to see why Hubbard is regarded today as part of trumpet royalty. 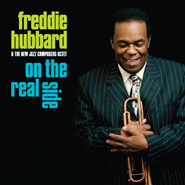 On the Real Side was Freddie Hubbards final release before his death in December 2008.